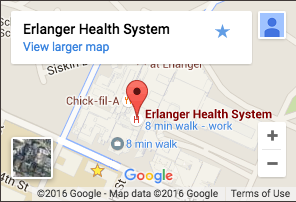 The academic hematologists of Erlanger Oncology and Hematology diagnose and treat disorders and cancers of the blood. As an academic program, our specialists not only care for patients, but also teach tomorrow’s hematologists through UT College of Medicine. We take a multi-disciplinary approach to care, working closely with radiation and medical oncologists – as well as transplant and other specialties. Our team actively participates in cutting edge research and offers the latest clinical trials to improve treatment of blood disorders.